Ivy Cottage01263 715779work01603 870304fax Self-cateringThis comfortable and spacious end terrace cottage sits in a peaceful village location, has lovely open views across adjoining farmland, and is coveniently located for easy access to the North Norfolk coast, as well as the popular village of Burnham Market. Ivy Cottage offers weekly bookings starting on Saturday. 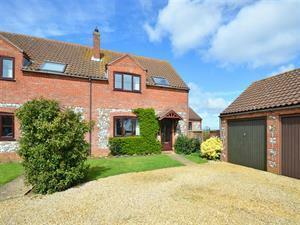 This comfortable and spacious end terrace cottage sits in a peaceful village location, has lovely open views across adjoining farmland, and is coveniently located for easy access to the North Norfolk coast, as well as the popular village of Burnham Market.